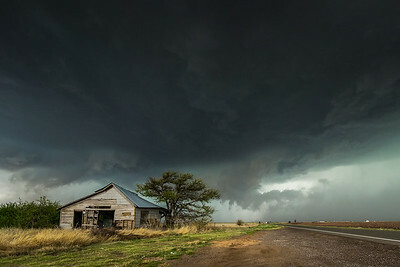 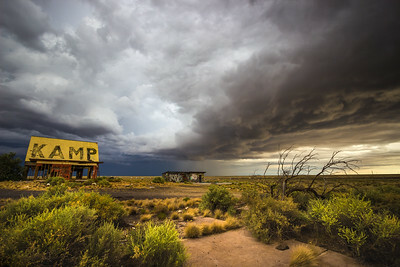 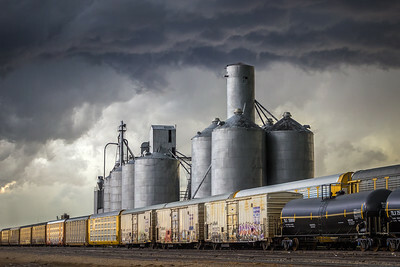 After documenting tornadoes near Felt, Oklahoma, we passed through Dalhart, Texas and snagged this shot as storms converged on the area—16 May 2016. 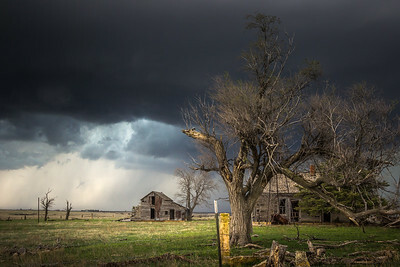 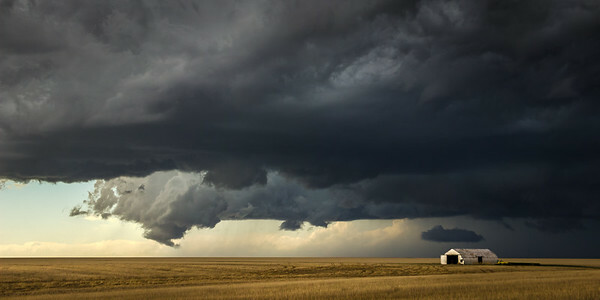 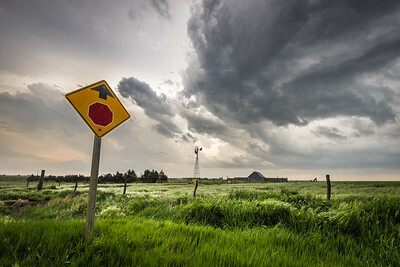 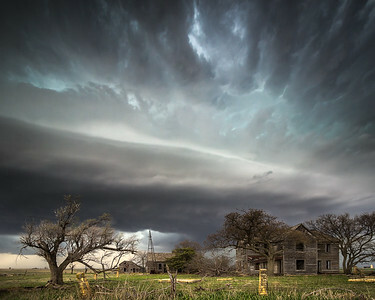 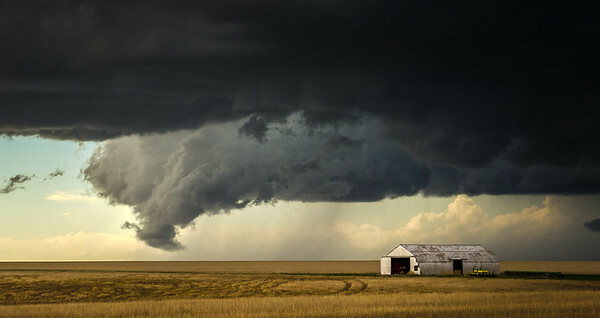 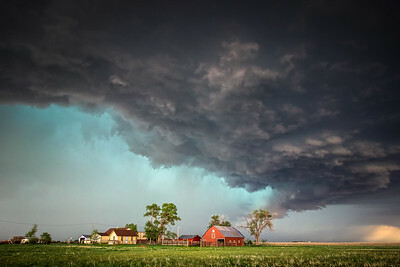 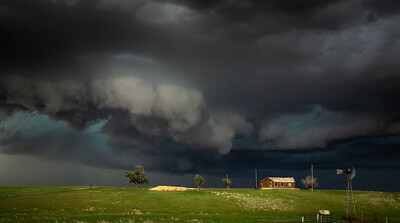 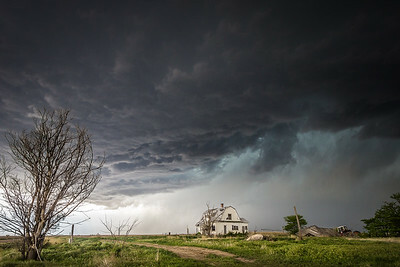 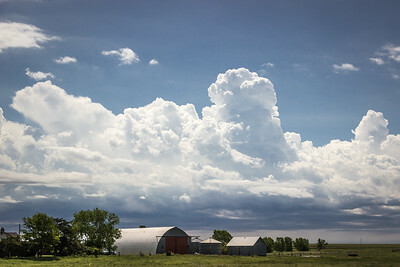 Clouds rush across farmland 4 miles south of Kingsdown, Kansas as a supercell moves in (off frame to the right). 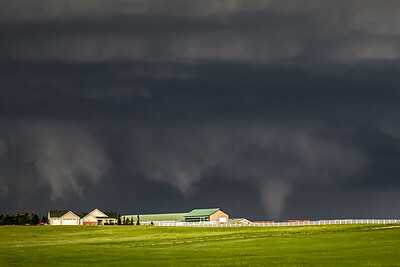 16 May 2017. 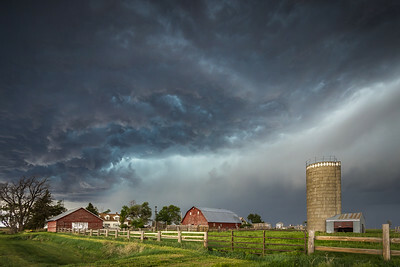 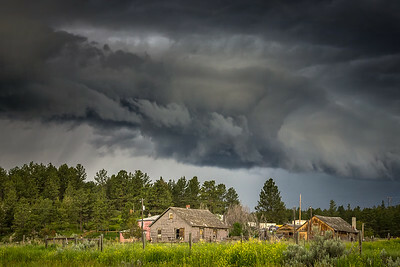 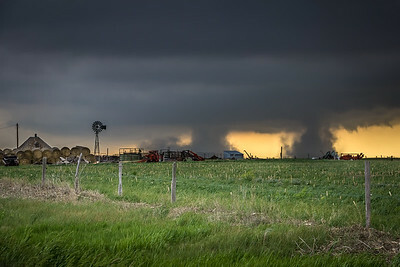 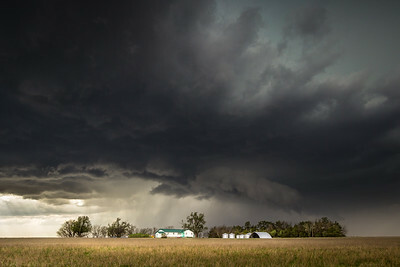 Looking northwest at a farm and hail core north of Joes, Colorado on County Road 7—26 May 2017.